HPR's take on the classic 454 Chevy. 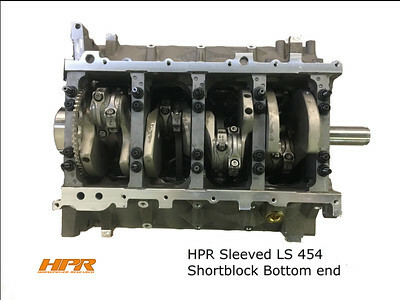 This sleeved aluminum LS block is stuffed with all of the good forged components to give it the classic 454 destination all in a modern LS architecture. This means you have no physical size changes of any normal production LS engine so fitment in tight spaces like a late model Corvette requires no special headers or hood for install!